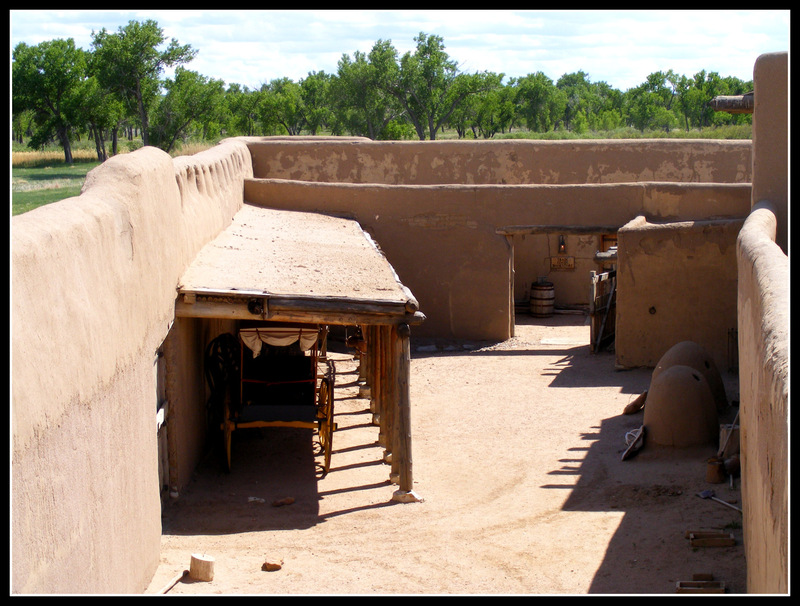 As I toured the fort, I wandered out into this courtyard. Behind the wagon in the shed on the left there is a wood pile. A small cottontail was sitting along the wall near the pile. It let me get close enough to take this photo, then it hopped into a gap behind the pile and disappeared. Desert Cottontail is the only cottontail found in that part of Colorado. 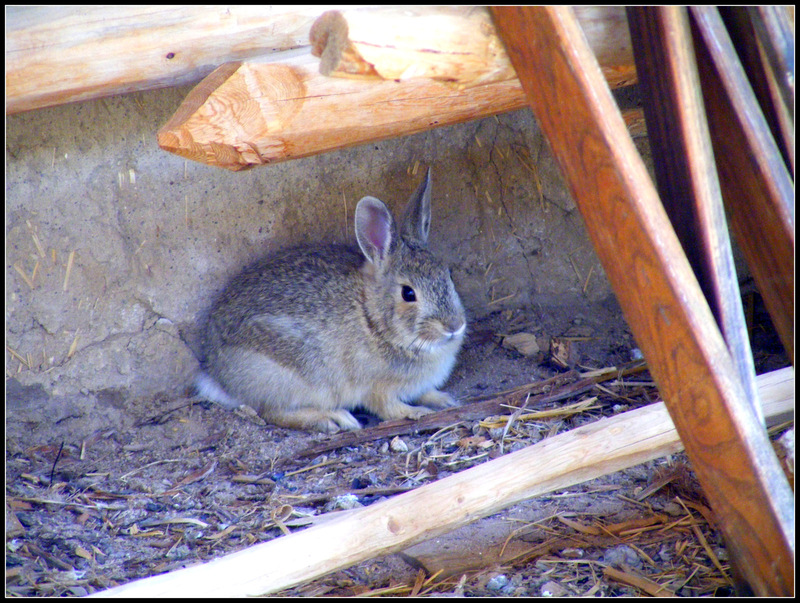 Desert Cottontail is the only cottontail listed on the Bent’s Old Fort mammal list.